Singapore International School (SIS) is committed to continuously ensure the quality of its education programmes through international quality assurance and accreditation benchmark standards. SIS students have achieved many prestigious awards from Cambridge Assessment International Education since 2009, acknowledging the hard work and quality of SIS teachers and students. These awards recognized exceptional performance of our students in the Cambridge International Examination series conducted in over 40 countries around the world. 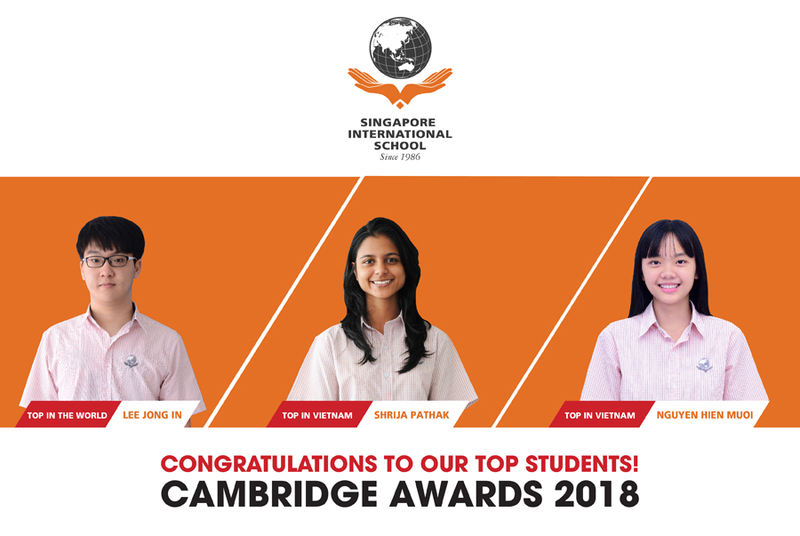 It is with great honor that Singapore International School (SIS) announces the outstanding results of our students in Cambridge International AS Level and IGCSE 2018. 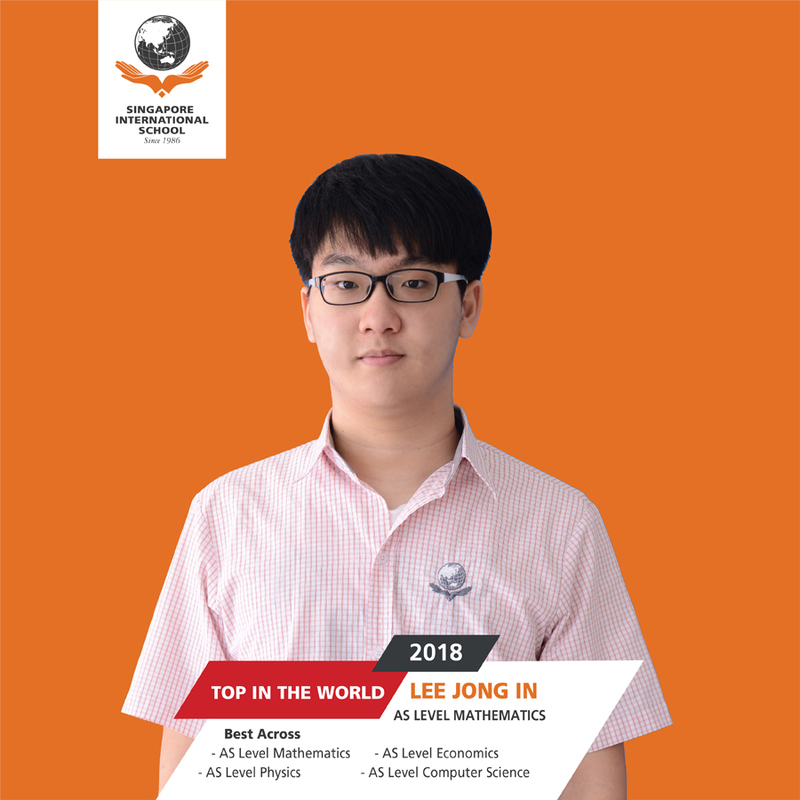 SIS is proud to announce that Lee Jong In at SIS @ Gamuda Gardens, Hanoi was conferred two Outstanding Cambridge Learner Awards including “Top in the World” for Mathematics and “Best Across” in four AS Level subjects of Mathematics, Physics, Economics and Computer Science. Every year, Cambridge Assessment International Education honors students for their outstanding academic achievements in the IGCSE, AS Level and A Level examinations. The “Top in the World” award is presented to students who have gained the highest standard mark in the world for a single subject. The “Best Across” award is issued to students who have attained the first highest cumulative total standard marks across Four Cambridge international subjects AS or A Level. Lee Jong In has been studying at SIS @ Gamuda Gardens, Hanoi for more than 6 years with excellent academic results every year. “For the last 6 years at SIS, I have met great teachers from different nations. I was able to learn from many different types of teaching and creative approaches to study. Thanks to this, I am able to have wonderful studying experience at SIS and achieve such great results. Above all, I am highly satisfied with the studying experience at SIS” said Lee Jong In. 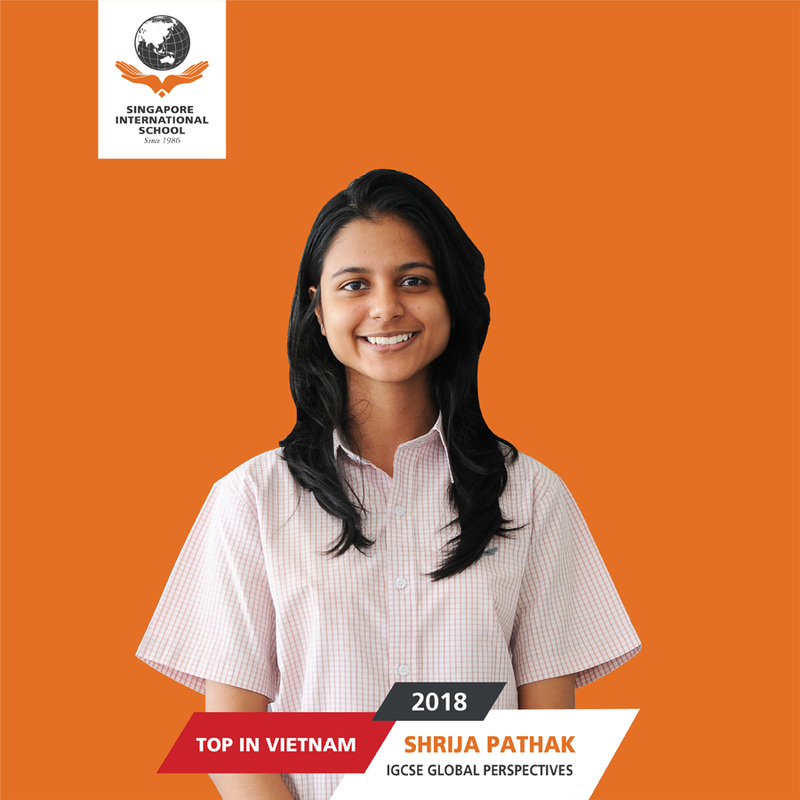 We also congratulate Shrija Pathak from SIS @ Gamuda Gardens and Nguyen Hien Muoi from SIS @ Vung Tau who respectively achieved “Top in Vietnam” for IGCSE Global Perspectives and “Top in Vietnam” for IGCSE Information and Communication Technology. 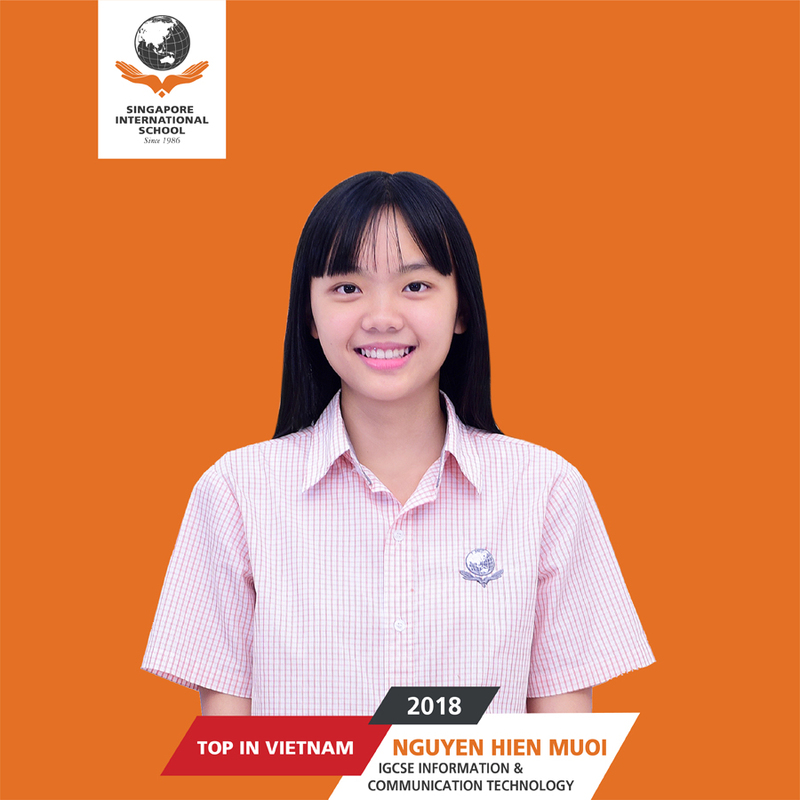 This award is presented to students who gained the highest mark in Vietnam for a single subject. Ms. Lorraine Els, Principal of SIS@Gamuda Gardens remarked “We are so proud to congratulate all students, especially Lee Jong In and Shrija Pathak who have worked so hard to achieve tremendous success in Cambridge IGCSE, AS and A Level examination. I wish them every success in their future”. SIS students achieved high standards for the IGCSE exams with over 65% of students scoring A*-C for all subjects and 40% scoring ‘A*’ – ‘A’ for seven subjects, including Mathematics, Additional Mathematics, History, Chinese, Global Perspectives, English as a First language, and Coordinated Science. Four SIS students scored ‘A*’s for five subjects including Nguyen Mai Trang, Tran Quynh Anh, Shrija Pathak and Nguyen Ngoc Dien. On the AS exams, over 50% of SIS students scored ‘A’ – ‘C’ for six subjects including Biology, Business, Chemistry, Economics, Mathematics, and Physics. On A Level exams, 100% students of SIS scored ‘A*’ – ‘C’ for six subjects including Business, Economics, History, Literature, Mathematics and Sociology. This result is far higher than Cambridge World Average. “I would like to congratulate all our students who sat for Cambridge Examinations 2018! They are hard-working students whose dedication for studying, along with the great support from teachers at SIS ensures their success. These excellent results and prestigious awards reflect the commitment and culture among our students and teachers at SIS. I look forward to seeing our students shine in their future academic and professional careers” said Mr Peter Baker, Education Director of KinderWorld International Group. KinderWorld International Group, founded in 1986 in Singapore, operates fifteen (15) educational campuses under the brand names of Singapore International School (SIS), KinderWorld International Kindergarten (KIK), Singapore Vietnam International School (SVIS) in Vietnam, providing education for students from Pre-Nursery to University Foundation Programme throughout Vietnam covering two major cities of Hanoi and Ho Chi Minh City and emerging markets of Quang Ninh, Da Nang, Vung Tau, Binh Duong, Nha Trang and Can Tho.